Viewing 24 of 240 items. 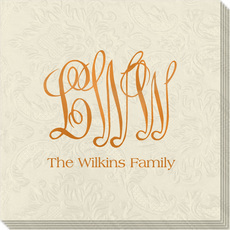 Set of quality moire napkins with a rich moire finish with a 3 letter monogram plus your personalization. 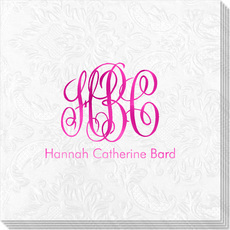 Your choice of napkin size, napkin color, imprint color and lettering style for your..
Set of quality moire guest towels with a rich moire finish with a larger 3 letter monogram positioned over your personalization. 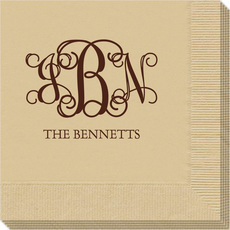 Your choice of napkin color, imprint color, lettering style for..
Set of paper napkins with an elegant embossed design featuring your monogram and text. You select size of napkin. Your choice of imprint color and positioning. Napkins are shrink wrapped in sets of..
Set of paper guest towels with an elegant embossed design featuring your monogram and text. Your choice of imprint and guest towel color. 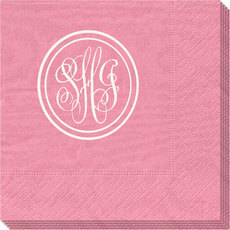 Your choice of napkin color, imprint color, lettering style..
Set of napkins with a three letter monogram plus your personalization. Your choice of napkin color, imprint color and lettering style for your personalization and placement of imprint. 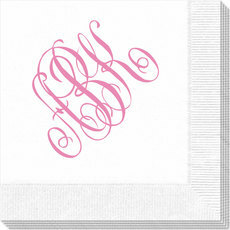 Quality 3-ply..
Set of printed Guest Towels with a larger monogram positioned over your personalization. 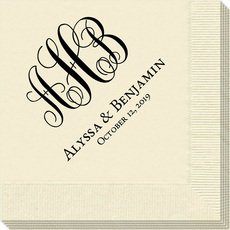 Your choice of guest towel color, imprint color, lettering style for personalization under the monogrammed..
Set of paper napkins with an elegant embossed design featuring your three letter monogram and text. Your choice of napkin color, imprint color and lettering style for your personalization and..
Set of paper guest towels with an elegant embossed design featuring your three letter monogram positioned over your personalization. 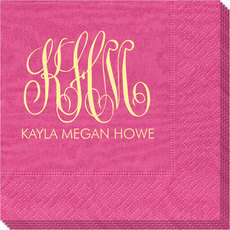 Your choice of napkin color, imprint color, lettering style for..
Set of printed beverage napkins with your 3 initial monogram. Your choice of napkin color, imprint color, and positioning of personalization. Additional napkins sizes available. 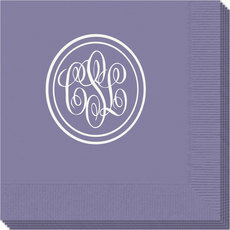 Quality 3-ply napkins..
Set of quality moire napkins with a rich moire finish with your 3 initial monogram. Your choice of napkin size, napkin color, imprint color, and positioning of personalization. 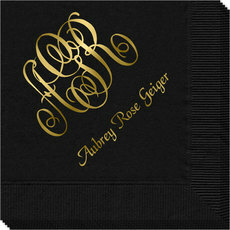 Monogram typestyle only..
Set of quality moire guest towels with a rich moire finish featuring your 3 initial monogram. Your choice of napkin color, imprint color and positioning of personalization. 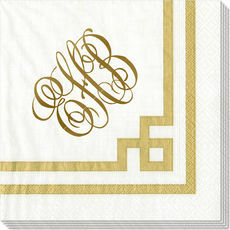 Monogram typestyle only as..
Set of luxurious DeVille white guest towels with a linen-texture finish. These are disposable excellent weight paper guest towels with a nice superior finish and are absorbent with a larger three..